What Is and How Do You Celebrate Diwali? What is Diwali? And how to best celebrate? 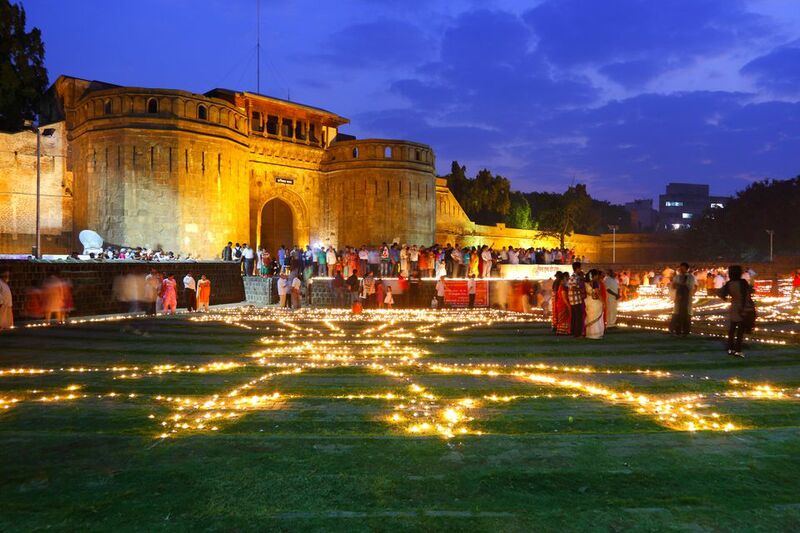 You'll certainly hear a lot about India's Festival of Lights if traveling through Asia in the fall. The Diwali Festival — also known as the "Festival of Lights" — is an important Hindu holiday celebrated throughout India, Nepal, Sri Lanka, Singapore, Malaysia, and other places with large Indian or Hindu populations. The tradition dates back to ancient times and is both jovial and festive. Diwali is celebrated throughout India, however, it's especially prevalent in bigger cities such as Delhi, Mumbai, and Jaipur in Rajasthan. Although the Jainism version of Diwali is celebrated on the same night as the Hindu Diwali, the reasons for celebrating are different. It is an important festival in India. It's also one of the biggest fall festivals in Asia. Similar to the Lunar New Year in January or February, Diwali is celebrated with family gatherings, new clothes, special treats, and meals. Many consider Diwali as a fresh start. Devotees make offerings to Lakshmi and Ganesha with hope for upcoming wealth and prosperity. Fireworks shoot continuously, creating a spectacle of noise, chaos, and delight in some places. Cities glow with colorful lights, lanterns, string lights, and ghee lanterns. These are left on throughout the night as a celebration of good over evil and the triumph of inner light over ignorance. Loud firecrackers frighten evil spirits and unsuspecting tourists alike for days before and after Diwali. The Diwali festival lasts for five days, but traditions vary. Preparations begin well in advance; fireworks go on for days afterward. The peak is usually on the third day, which is considered a sort of New Year's Eve. The last day is set aside for brothers and sisters to spend time together. Temples are especially busy with rituals and religious rites during Diwali. Be respectful and cover yourself if you happen inside; don't take photos of worshipers. Diwali is often spelled with many variations depending on place and language, but what is the difference between Diwali and Deepavali? Because the word is transliterated from Hindi, Tamil, and other alphabets, we end up with different pronunciations, just as the festival is celebrated in many different ways between the numerous ethnic groups and religions. Diwali (English): "dee-wall-ee" but also heard as "dee-vall-ee"
Just as in the days leading up to Lunar New Year, homes are cleaned, renovated, and decorated in preparation for good fortune in the upcoming year. New clothes, along with sweets and small gifts for friends and family, are purchased. Diwali is ancient. As with all ancient traditions, different regions take different approaches. Although the official reasons for celebrating Diwali differ, the event is observed by Hindus, Sikhs, Jains, and even Nuwar Buddhists. All contribute to the festive atmosphere with lamps and colorful decorations. The quickest and easiest way to show that you acknowledge Diwali is to light lanterns and candles in front of your house. Still a relatively new concept, the Diwali Festival is becoming more widely observed throughout the West. Many large cities in the U.S., Europe, and Australia now sponsor celebrations. Occasionally, one of the days of Diwali overlaps with the Guy Fawkes Night (Bonfire Night) — observed on November 5 in the UK — giving two good reasons to celebrate with fire and fireworks. Diwali is a time to make peace, settle debts, and start anew. In the past, Indian and Pakistani soldiers even exchanged sweets along the disputed border. Diwali is also a time for reunions. Look up and reach out to remote family members or loved ones with whom you have lost touch. In 2009, President Obama was the first U.S. president to celebrate Diwali at the White House. San Antonio, Texas, was the first city in the U.S. to hold an official Diwali celebration. Although Diwali is a fun, festive, beautiful time to be in India, it could affect your plans. With such widespread celebrations and many people off work to return to their home villages, the already busy public transportation system will be clogged. Trains during the festival become booked up weeks ahead. Hotels in popular cities also fill up quickly; you should book budget hotels in advance. The abundance of fireworks during Diwali actually contributes enough smoke to make the already apocalyptic air quality in New Delhi even worse. When Is the Diwali Festival? The dates for Diwali are based on the Hindu lunisolar calendar and change each year, but the festival typically falls between mid-October and mid-November on the Gregorian calendar.